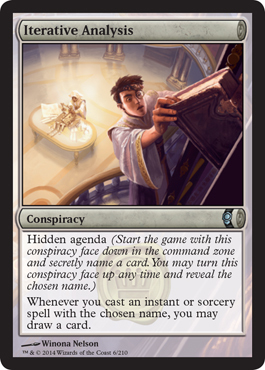 Once again, welcome to our latest news on Conspiracy spoilers! Today we have four for you and one of them happens to be our fourth legendary creature. 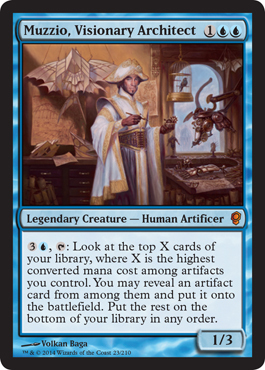 Muzzio is strong because he lets you look at cards, put an artifact into play, and then put them on the bottom of your library. 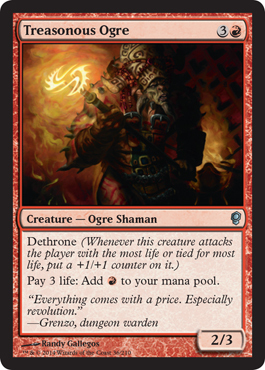 He may be a 1/3, but in any EDH artifact deck, this guy is plenty useful. Not unlike Cogwork Librarian, we have yet another draft manipulator. This allows you to take an entire pack for yourself (or whatever is left of it, at least). 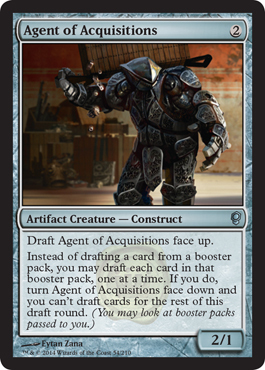 While you can't take any more cards from any more packs from this rotation, you get to see what everyone else is getting (and better yet, you could take a card from a pack by putting a Cogwork Librarian into any pack after using Agent of Acquisitions to take a pack for a rotation. Yet another Conspiracy with Hidden Agenda tacked on, except this time you get to draw cards by playing a particular instant or sorcery that was named. As always, be sure to check out our full spoiler page. It has all cards revealed so far in numerical order as well as art, packaging images, and even the mechanics with each card using that mechanic all listed on a single page.